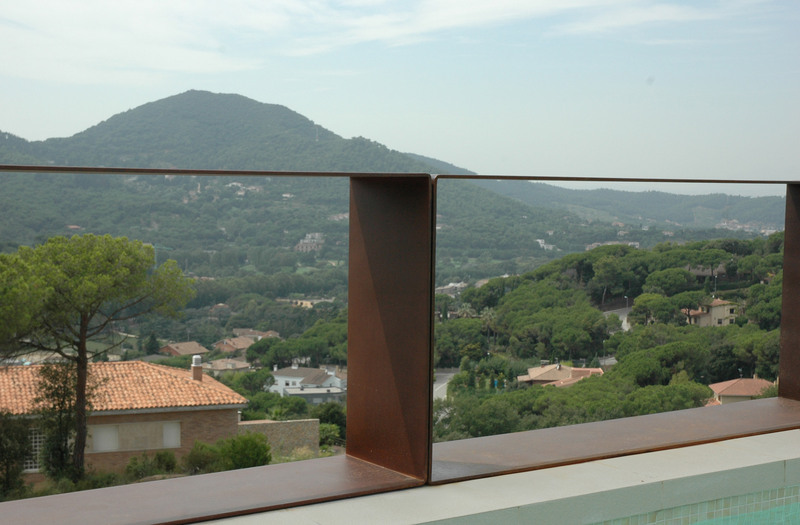 This railing is built in a house with a wonderful landscape. 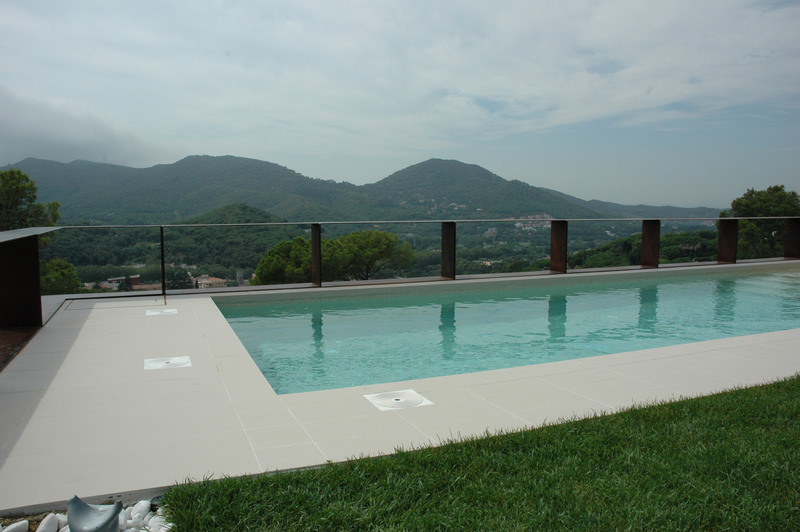 The railing adds a touch of class to the pool. 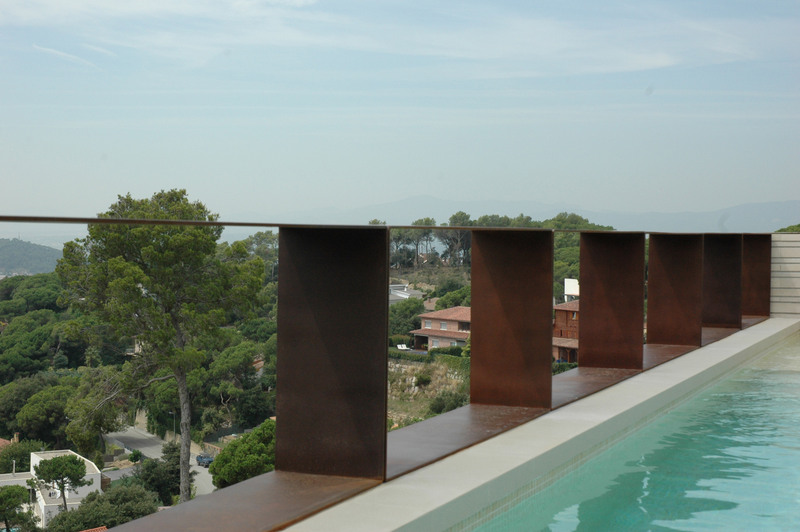 This railing was built of sheet 8 mm Corten steel folded and treated with COR line products.